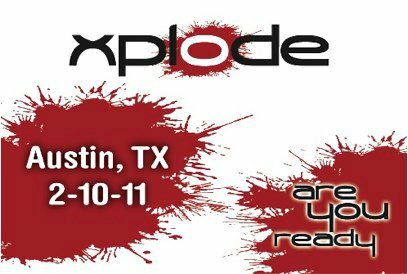 Following is our summary of the xplode Real Estate Technology held in Austin February 10. There was a ton of information packed into this one-day event. This is a summary, a very high level summary, of what we took away from this very informative day. .....1) What homes are for sale? .....3) What is my home worth? • You have to identify what you want consumers to do when they are on your site. Why do you have the site? • Many prospective customers go to sites like Yelp.com to see customer reviews. They don’t trust testimonials on your website because you wouldn’t put anything negative on your website. • Direct mail can still be very effective especially when augmented with QR Codes / Microsoft Tags to get consumers to take a specific action. Example—Don’t send out a generic “just sold” card. Send one that says “I sold this house. I can sell yours too. Scan this code to see what your house is worth” and include a scan code that takes them to the “what’s my home worth page on your website. Great information. I'd have a headache after stuffing all this into my brain. You're so fortunate to have been able to attend. I especially like the technology statement, "How you use technology is more important than the technology itself".